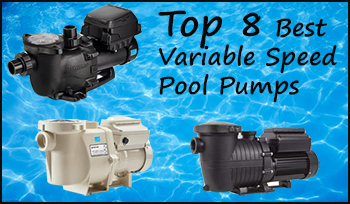 8 Best Variable Speed Pool Pump in 2019 - How to Select the Best for you? In this buying guide, we want to find out which is the best variable-speed pool pump in 2019. We will also discuss several important aspects that should be on your fingertips when shopping. But why should you buy the variable speed and not the single speed and two-speed models? Your single-speed or two-speed pump may be working just fine, but they incur huge bills at the end of the month and are very loud. The advantage of the variable speed options is a reduction of energy costs by up to 90%. They are also more efficient, durable, and offer the best usability because they have improved controls and easier installation. 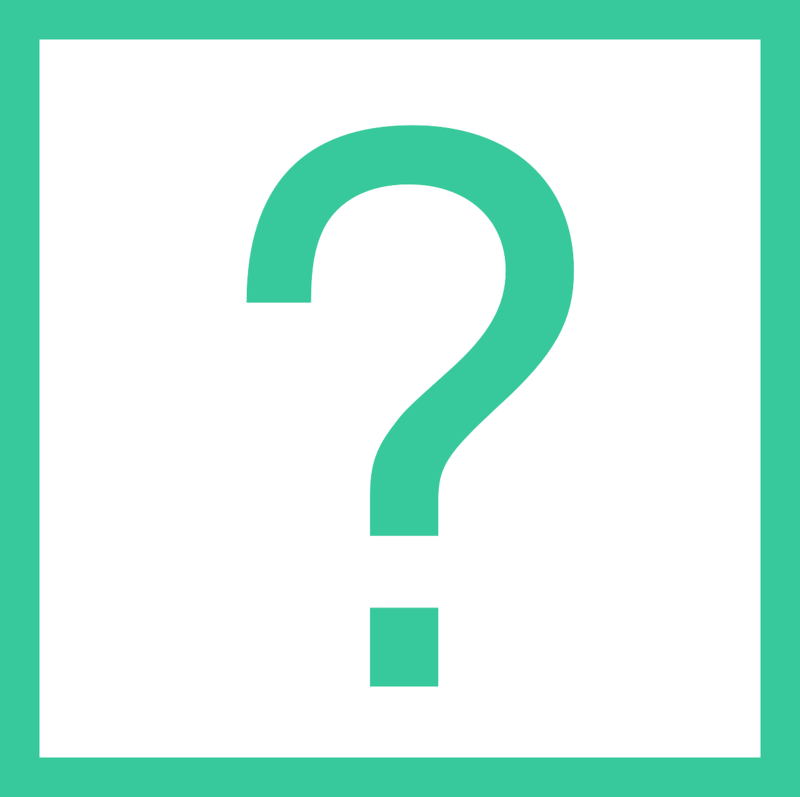 So, which are the best variable speed models in the market? How do you decide which one to buy? How much do these pumps costs and do they really save money, or it is just part of the marketing gimmicks? That’s what we want to find out in this pool pump buying guide. 9.1 What is a variable-speed pool pump? 9.2 How do variable speed pool pumps work? The Pentair IntelliFlo packs an ultra-efficient permanent magnet TEFC motor that has an output of 3HP. The self-diagnostics system and overload protection work to ensure your pump gives you the longest service. As a 3HP pump, we expected it to be loud, but we were amazed by the quiet operation at 45 decibels which is a characteristic of 1.5HP pumps. The highlight of the Pentair IntelliFlo is the 8-speed settings and a built-in timer which ensures optimum speed and runtime. For average pools, you can run it 24 hours at 1500RPM using just 300W per hour and still do an impressive 70GPM. This pump is Energy Star certified and will save you up to 90% when running optimally. For easy programming, we also have an LCD and touchpad controls. The pump is also compatible with automation systems including IntelliTouch, EasyTouch, and SunTouch. One of the reasons you should think twice about the IntelliFlo is the bad reputation Pentair has regarding the warranty. It’s also unfortunate that for such an expensive product from a reputable brand will leak moisture to the LCD. Well, blocking the view is not the main problem; the water may short the motor. 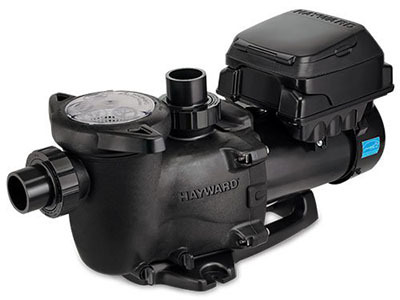 The Hayward TriStar VS is ideal for replacing 3HP single and dual speed pool pumps and yields up to 80% savings in large pools. Being an ENERGY Star rated pump, you are eligible for rebates. Under the hood, we have a totally enclosed fan cooled (TEFC) permanent magnet motor and has 4-speed settings. We also have onboard diagnostics that detect priming failures while the automatic protection protects the motor in case of extreme temperature and voltage fluctuations. To ensure maximum efficiency, the TriStar VS works with 2-inch and 2.5-inch plumbing. 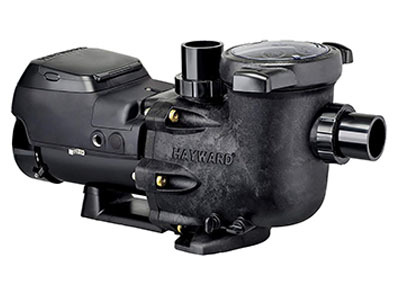 When it comes to usability, Hayward designed this pump with a digital touchpad control interface that can be attached to the pump or wall-mounted. It boasts up to 8 custom timer functions and 24-hour programmable clock. Additionally, it is compatible with automation systems like Hayward OmniLogic® among others. When you read the negative reviews, you find complaints that this pump doesn’t save energy. Well, this is not a shortcoming because such pool owners are running a pump that is too powerful for their needs. As a 3HP pump, you should install it if you have a large and busy pool that needs constant water circulation. One shortcoming is the loud noise when at maximum speed. 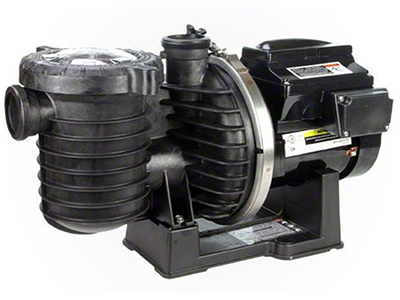 The Pentair SuperFlo is a great drop-in replacement for the Hayward Super Pump as well as pool owners looking to upgrade to a variable speed pump. The 1.5HP pump boasts a TEFC motor that can run at 3 speeds and has an override function to meet the changing demands of your pool. It efficiently moves water at low speeds and that greatly accounts from the 80% savings it guarantees. This is among the few pool pumps that are compatible with both 115 and 240V without requiring much wiring. The Pentair 342001 SuperFlo has a built-in timer and 24-hour clock that kicks in when there is a power outage such that you won’t lose your settings. In addition, we have a digital display that shows all the crucial operational information. One of the shortcomings of the Pentair SuperFlo is that the company cuts down the warranty to 60 days if you installed the pump yourself. It will also have problems with self-priming when not used for a while, so you have to prime the pump to get going manually. The circuit breaker also gets kicked off whenever the pump goes from high to low RPM and so far, Pentair is silent on the problem. The MaxFlo VS model number SP2303VSP will save you around 80% of your energy bills. This is thanks to a Totally Enclosed Fan-Cooled (TEFC) 1.65HP motor. This is a 4-speed model and should strictly run on 230V AC lest the motor gets damaged. Programming the pump shouldn’t be a problem courtesy of the intuitive digital control interface with a backlit LCD. Here you can see all the important information you need including how much energy you are using at that time. I’m glad the control panel can be adjusted to four positions for accessibility and convenience. Another advantage of this system is that it can be automated with systems like Hayward OmniLogic® and ProLogic REV 3 via a relay system. 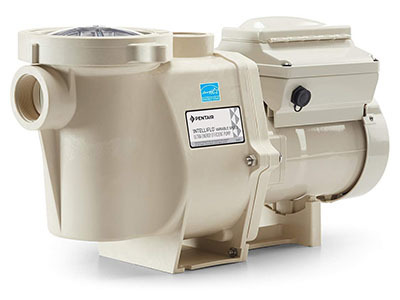 This variable-speed pool pump is Energy Star rated and eligible for local rebates. Our only concern is that whenever you change the speed preset or duration, the pump will start the self-priming again which is unnecessary. The process takes 8 minutes, and there’s no way to stop it. The pool documentation is not so clear, and as usual, the Hayward customer support is not reliable whether you are asking for help or lodging an issue regarding the warranty. This Pentair IntelliProFX VS has been designed to work efficiently on large and busy pools. It packs a 3HP variable speed motor with 8-speed settings and a built-in 24-hour timer and onboard scheduling function for efficiency and convenience as well. It is ENERGY STAR rated and will save you up to 80% of your total energy costs. The TEFC motor design and self-diagnostic system, as well as overboard protection, will all ensure it gives you smooth service for long. One of the unique features it offers is faster priming courtesy of a hydraulic isolator that separates pumping water from priming water. It comes included with union connectors that work with 2.5-inch or 3-inch plumbing systems. For enhanced usability, you have an LCD with rotatable touchpad for unrestricted accessibility. A word of caution here, this pump is designed for large and busy pools; using it in a small pool will not yield substantial savings. We have seen a lot of complaints from customers who have installed this yet they have very small pools. The only valid concern is regarding the price. $1400 for a pool pump is a huge investment, but one that surely pays off is a couple of seasons. Even though it is a little known brand, Sta-Rite is an industry leader when it comes to variable speed pool pumps. Meet the Sta-Rite IntelliPro; an ENERGY Certified 8-speed model that can save you up to 90% of your energy bills when installed properly and it is running optimally. It packs a TEFC motor that runs cool and is incredibly quiet at 45dB. We also have a built-in diagnostics system which notifies users whenever there is a problem instead of letting the pump run until it damages the components. At the top, we have the intuitive control interface as usual that features an LCD and a touchpad for easy and straightforward operation. In addition, there is a built-in timer, and the unit is compatible with IntelliTouch®, EasyTouch®, and SunTouch® among other pool and spa automation systems. Here, the warranty is selective. Even though the company promises a 2-year warranty, it shoots down to 3 months if you bought yours online or it wasn’t installed by a professional. That sounds like a great risk considering you are popping out $1300 for this pump. It is also not efficient when installed on small and less busy pools so make sure to do your pump sizing well. 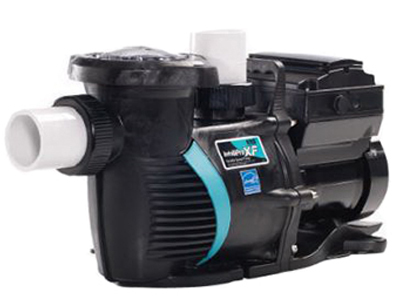 This 1.5HP variable speed pool pump is Energy Star certified and can save you up to 40% of your summer energy bills. This is courtesy of the efficient TEFC motor and 4 preset speeds. Even though it doesn’t offer high savings like the rest of the pumps in this review, we like its affordability as it costs half the average price of VS pumps. It boasts a robust construction, that is easy to install and will last seasons out in the sun without getting damaged. The motor is totally enclosed to ensure the components stay dry. We also have a digital control interface with touchpad controls for precise programming. However, there are no adequate resources included to help you out. The customer support is quite dodgy, but we found a resourceful person to talk to on this number – 516-796-1626. The problem with Blue Torrents Pumps is the low head and low efficiency at the low-speed setting until you get to 500W. Also, the construction is questionable considering the several complaints of water condensation in the LCD blocking your view of the readings. I wonder how long it can hold without water damaging the control interface internal components. Finding the 2-inch couplings may also be a nightmare as the pump comes with 1.5-inch plumbing. We saw that Blue Torrent Pumps VS in practice was efficient when running in setting number 3 and 4 only. Setting 1 and 2 are just inefficient and thus, somewhat vestigial. 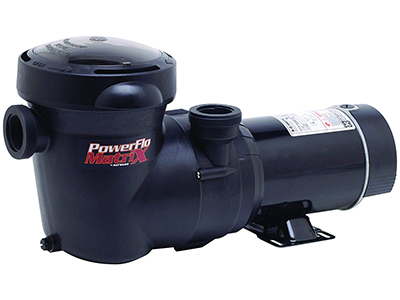 With Hayward PowerFlo Matrix, you get the same practical performance of an entry-level variable speed pool pump at a cheaper budget. In low speed, which is equivalent to the setting number 3 in the Blue Torrent Pumps VS, it achieved an impressive 43GPM. This pump boasts a 1.5HP heavy duty motor with overload protection guaranteeing the best in class performance and durability. Designed for 1.5-inch piping, it converts from horizontal to vertical water discharge, and that makes it suitable for both inground and above ground pools. Of course, this is not a variable-speed pool pump so you might not get all the savings and extras that come with VS pumps. But the savings are impressive and that’s what makes it rank closer to variable-speed models. Unfortunately, there have been a lot of cases of leaks and consequently, problems with priming. Cross your fingers you don’t get a faulty pump, and it will serve you very well. 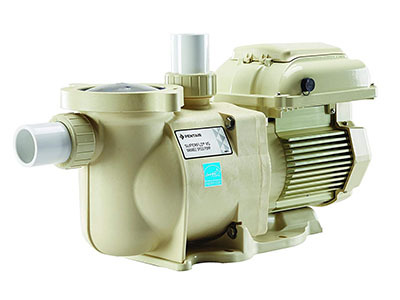 Having reviewed all the top models in 2019, it is time we acquaint ourselves with a few aspects regarding variable speed pool pumps. We will also discuss some important buying tips to help you get the best value for your money. Without further ado, let’s get to business. What is a variable-speed pool pump? This is a pump that features multiple speed settings. But there’s one thing you need to be aware of; variable speed pool pumps are expensive. But they offer better value for money in the long term. Here are the benefits of using the variable-speed pumps as opposed to the single and dual speed models. Cuts down running costs – VS pumps will save 50-70% of your monthly energy bills as you are able to control the speed minutely. Even though the initial cost is expensive, you will recoup your money in less than three years. However, if you plan to sell your property or you are not there permanently, you won’t realize the ROI. Enhanced usability – These models will come with digital control for accurate inputs as well as readings. Additionally, the pump features onboard diagnostics for enhanced usability. Lower operation noise – These pumps have been designed with the latest efficient Totally Enclosed Fan Cooled (TEFC) motor that runs quietly. Also, the fact that you can run them at low-speed settings means you can now run it without waking up the baby. Durability – These pumps last three times longer than the single speed and two-speed models. So, instead of buying a dual speed that lasts 5 years on average, buy a variable speed model which offers a minimum of 15 years. Increases property value – Any installation that saves energy or water will increase your property’s value. Besides these benefits, it is important also to acknowledge the evolving laws and regulations regarding energy efficiency. By 2021, there will be a new law in the US that will require manufacturers to adhere to strict energy efficiency regulations that will see the single speed and dual speed pool pumps prohibited in favor of their efficient counterpart, variable speed options. While variable speed pool pumps may have so many benefits, there are a few shortcomings it tags along. First, you understand the cost implication. These pumps are technologically advanced, and in the long run, their prices are higher. Another shortcoming is the fact that variables-speed pumps have more parts and consequently, they require intensive maintenance. Lastly, not all pool owners may benefit from the efficiency aspect of variable speed pool pumps. This is because, at most times, the pump will be running at maximum RPM. How do variable speed pool pumps work? To understand how the multiple speed pool pumps work, it will be important to first understand the working mechanism of the single speed and dual speed, models. Single speed – These pool pumps are the most popular because they have been around for the longest time and most importantly, they are the cheapest in the market. Single-speed pumps come with the old induction motor that runs on one speed only at 3450RPM. They operate at a single horsepower; from 0.5HP to 3.0HP depending on the model and are very loud when in operation. Dual speed – Also known as two-speed pumps, these have the same induction style motors but have been engineered to operate at low power (1725RPM) and high power (3450RPM). Unlike the single speed, these pumps operate at two horsepower as well. The fact that they can be run at lower speeds makes them efficient and also quiet when in a low power setting. However, fine-tuning the flow rates may prove to be a hard task just like in the single speed models unless you have an additional controller. Variable speed – Now, coming to the VS pumps, we have an entirely new motor design. They come engineered with a permanent magnetic motor, the same that are used in electric cars. These motors run at multiple speed settings; from as slow as 600RPM to 3450RPM which is the maximum. The motor in VS pumps runs at different amperage unlike the dual speed, and that’s how you cut down on the energy costs. Additionally, pool owners can dial in the desired flow rates on the digital control interface. In this section, we want to do a roundup of all the important things that should inform the choice of your variable speed pool pump. Settling for a variable speed model is a great idea, but ultimately, there is still a dozen of aspects to consider amidst the wide range of multiple speed pumps in the market. What brand are you buying? Is it the cheap pool pump brands or renowned manufacturers. We always recommend buying from top brands; the likes of Intex, Pentair, Hayward, and Harris just to mention a few. These brand guarantee the best efficiency and durability. This is unlike their cheaper counterparts which don’t realize considerable savings and won’t last long. Another thing, top brands offer the best after-sales service. The warranty is genuine, and replacement parts are readily available and affordable. One thing about these household names is that they are quite expensive. So, while you may be out looking for a cheap variable-speed pool pump, don’t go too low lest you end up with a substandard product. This refers to the maximum amount of water your pool holds. It is imperative that you buy a pump that can comfortably handle the capacity of your pool and still give a 24-hour turnaround. If you installed the pool yourself, you must be aware of the volume. However, if you are not privy to this data, you can still find out the pool’s volume using other methods. For rectangle pools, it is very simple. You find the volume using the conventional formula – Length x Width x Average Depth. This will be the volume in cubic feet so to get the amount of water in gallons, multiply the result to 7.5 – that is the volume of your pool. However, for the irregularly shaped pools, it is quite different, and you will have to use the online pool volume calculator to get accurate results that you can base your purchase on. But here are the formulas if you are ready for some math. Now that you know the amount of water your pool holds, you are good to go. With this information, you can find the appropriate flow rate that will run with your pool efficiently. The essence of knowing your pool volume is for one reason; to find the appropriate pump size especially in terms of flow rate. For starters, flow rate refers to the amount of water your pump can turn over per given time. Ideally, you want to have at least two turnovers daily to achieve the best pool hygiene. Without this, your pool will be susceptible to algae infestation, the build-up of debris and pH imbalance. That said, you need to invest in a pool pump that is powerful enough to circulate twice the capacity of your pool. For example,m if your pool has a 15,000 gallons capacity, your pool pump should have enough flow rate to move 30,000 gallons in 24 hours. When discussing the flow rate, it is imperative to note that there are minimum flow rate and maximum flow rate which are both represented in gallons per minute. Minimum flow rate refers to the minimum amount of water per minute which your plumbing needs to move to circulate your pool water twice a day. To get the minimum flow rate you require, divide the pool volume in gallons by 1440 (number of minutes in 24 hours). As for maximum flow rate, this is the maximum amount of pool water your pump can handle in a minute or hour though it is popularly represented in minutes. To get the maximum flow rate, divide the pool volume by the minimum flow rate. While other aspects like horsepower and plumbing sizes are important, the flow rate is fundamental, and once you get it right here, nothing will stop you. However, when you get it wrong here, chances are high you will not get value for your money. The discussion about a pool pump’s performance won’t be complete without looking at horsepower as a dynamic. Each pump can turn over a certain amount of water. In vehicles and other power tools, the highest horsepower is always the best choice, but here, it is not the case. Make sure to buy a model that is just within your calculations. Pool pumps with more power than you need are just a waste of energy. A large pump may also render your system inefficient by overwhelming the other systems unnecessarily. Such a pump may also lead to cavitation (formation of bubbles) and in the long run, this may damage the pump. Indeed, horsepower should be an important consideration when choosing a pool pump. However, don’t let the horsepower guide you. Instead, try to match the pool to the pump on your wishlist. 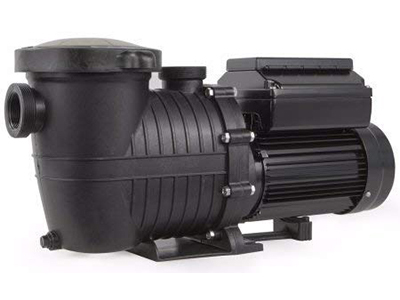 Well, one of the features variable speed pool pumps boast is the TEFC (totally enclosed & fan cooled) motor, also referred to as permanent magnetic motor. These pumps all have this kind of motor, but besides that, there are a few differences you need to understand. You need to consider the type of motor used and the voltage it requires. We have those that work 1ith 115V while others are strictly for 230V. The best, however, is a variable speed pool pump that works with both 115V and 230V without requiring any electrical wiring. Also, consider the speed settings offered by the motor. As you are aware, we have the one-speed and the two speed options. As for variable speed pool pumps, you have the choice of 3, 4 up to 8-speed settings. The best is one with the most speed calibrations. But don’t mistake more power settings for more efficiency. Besides the horsepower and flow rate, also consider the size of the piping to get the most out of your pump. Typically, you will find two plumbing sizes; 1.5-inch and 2.0-inch though we also have 3-inch options but rarely. The wider the diameter of the pipe, the more water flows through, but at a lower pressure. On the other hand, a narrow-diameter pipe will pump lesser water and at higher pressure. The general rule of the thumb is to ensure the speed of water in the pipes doesn’t exceed 7 seconds on average. So, to make sure you are operating within this range, here are the recommendations for the GPM of each pipe sizing. The 1.5-inch pipes are synonymous with the old systems and may not function properly with the new, and powerful pumps. When using this plumbing size, restrict yourself to 44GPM. As for 2-inch pipes, the recommended is 78GPM while the 2.5-inch and the 3-inch pipes will work best at 120GPM and 160GPM respectively. When assessing flow rate, also remember to factor in the type of filter you are using. This is because all filters have specific flow requirements. If you have a D.E filter, note that for maximum flow rate, they have been rated at 2 GPM/sq. ft. of filter area. Essentially, this means that 48 sq. ft. D.E. filter has a maximum flow rate of 96GPM and in the same token, a 60 sq. ft. will have a 120GPM maximum flow rate. Sand filters offer varying flow rates and are normally calibrated, so you don’t have to stress yourself with the arithmetic. Make sure you know what your filter can handle and match it with the pool pump. The cartridge filters also have been calibrated with the flow rates they can handle. Also here, match the manufacturer’s recommendation with the particular model lest you end up with short cleaning cycles. One of the most ignored aspects when buying a new pool pump is the Total Dynamic Head. For starters, TDH is a representation of the amount of back pressure in the pool plumbing system. Your choice of a pool pump should also be informed by the TDH of your pool to ensure adequate water circulation. It also ensures that your pool system runs efficiently and as you know, the pump is the heart of the pool plumbing system. The average residential inground pool has a TDH of 50 – 60 while above ground pools range from 20 – 30. However, this may vary depending on the pool’s size and the presence of other pool accessories like fountains which create resistance. If you are not running any major accessories mentioned, the above figures should operate your system efficiently. Otherwise, here is a table to guide you further. One advantage of VS pool pumps is the digital controls they feature. You can now operate the pump with more precision and accuracy compared to the older systems. Go for a model whose motor has the most speed settings to give you more control over the speed. These pumps are also compatible with intelligent pool systems, for example, IntelliTouch and, SunTouch Pool Control Systems. It is also worthy to check out safety features and onboard diagnostics. The safety features protect the major components like the motor from damage that may arise from electricity short and the likes. On the other hand, the onboard diagnostics will alert you in case there is a problem which is a great idea compared to the older systems which will continue running and extending the damage. The reason manufacturers are focusing on variable speed pool pumps is because of their efficiency. These systems cut down the running costs dramatically; we all agree on that. But then, savings are relative; what one brand may save you in monthly electricity bills is not what another brand will replicate. That said, you need to be careful with the variable speed model you settle on. Unfortunately, most brands are not honest when it comes to actual savings. An example is Pentair 011018 IntelliFlo that promises 90% energy savings, but in the real sense, it averages 70% savings which is still impressive, and among the industry leading in terms of savings. In case you are not sure which pool pump to choose, look out for the Energy Star mark. A model with this certification means an independent body has tested it and proved that indeed, it saves energy. Now, away from the features and specifications, you also need to consider the warranty and after sales. Make sure to go for a pump with the longest warranty. The essence of a warranty is that it covers you in the event your pool pump develops any problem that is not related to careless use and also, manufacturer’s defect. A longer warranty means you are covered against such cases for the longest time. It is really imperative that you read the terms of the warranty to understand what it covers and what it doesn’t. Of importance is the recommended installers. Some brands insist that the pump is installed by a professional or in some cases, an accredited installer. Failure to adhere to this leaves your warranty void. We recommend buying from the top brands as they honor the warranty, unlike these cheap brands that become dodgy when you have a complaint. As for after sales service, you may need to connect to the customer support for one reason or another. Again here, buy from the top brands because they have steadfast support and enough resources to help you with installation and troubleshooting. Above all, replacement parts are readily available and affordable. Does a variable speed pool pump save money? Yes, a variable speed pool pump will save you a few bucks at the end of the month. In fact, these pumps are preferred over their dual and single speed counterparts because they are efficient. The savings vary from one model to the other depending on the features on board. Even though some brand promise up to 90% savings, the average energy savings you get with VS models is 50 – 70% and this may translate to $500 – $1000 annually. How long does a variable speed pool pump last? Variable speed pumps have motors that last longer than their older counterparts. A good model should last you 12 – 15 years. However, this depends on the brand with the top brands lasting longer than these cheap and little-known brands. The wear and tear is also a consideration; the more you use the pool pump, the more, the faster it will wear. Lastly, maintenance is everything. You might have a top of the range pool pump, but without proper maintenance and care, it won’t serve you for long. What is the most energy efficient pool pump? Any model with the Energy Star certification will save you 50 – 70% of your monthly energy bills. However, the actual savings vary from one model to the other. So far, the Hayward TriStar is the best when it comes to savings. You can realize 70% savings with this pool pump when it is correctly installed. By installation, we mean it has been installed on the correct pool size, ideal flow rate Total Dynamic Head and all other dynamics. When should you run your pool pump? To determine when you should run your pump, factor in the energy costs and most importantly, the and chemical demands. Well, running the pump 24/7 is an excellent idea as it will keep your pool water clean and crystal clear always. However, this will significantly increase your energy cost. Find the most efficient settings and run the pool pump in cycles of at least four hours each. In simple terms, make sure that each cycle is long enough to turn over all the water in a pool. When it comes to chemical demands, we consider the chlorine in the water. Ideally, you need to have a balanced chemical composition. Now that the sun will remove chlorine from the water during the daytime, it is recommended that you run your pool pump during the day than the night. But note that electricity costs are higher during the day so scheduling the pool to run during the day might not go well with your energy saving efforts. How long should you run your pool pump? As for the question of how long you should run the pump, it entirely depends on your filtration needs as well as the chemical demands of your pool. In summer, your pool chemical demands are at the highest, and the bathing load is higher as well. The fact that the pool is also busy means that there will be more dirt and debris. This means you need to filter more, and that simply means longer. To ensure your pool is clean always, run your pump for at least 12 hours a day. During winter running it for 5 hours a day will be enough while in spring and autumn, run it for 6-8 hours depending on the region and temperature. There you have it ladies and gentlemen, a review of the best variable speed pool pumps. Indeed, these are the new kids on the block, and even though they are expensive, they can cut down your pool running costs dramatically. But make sure to calculate your pool’s needs before settling for any pump. And remember, bigger is not always better when shopping. So, which one suits your needs and why? Engage our experts in the comments section below. Our pool experts will be glad to engage you. ← How to choose best electric pool heater?